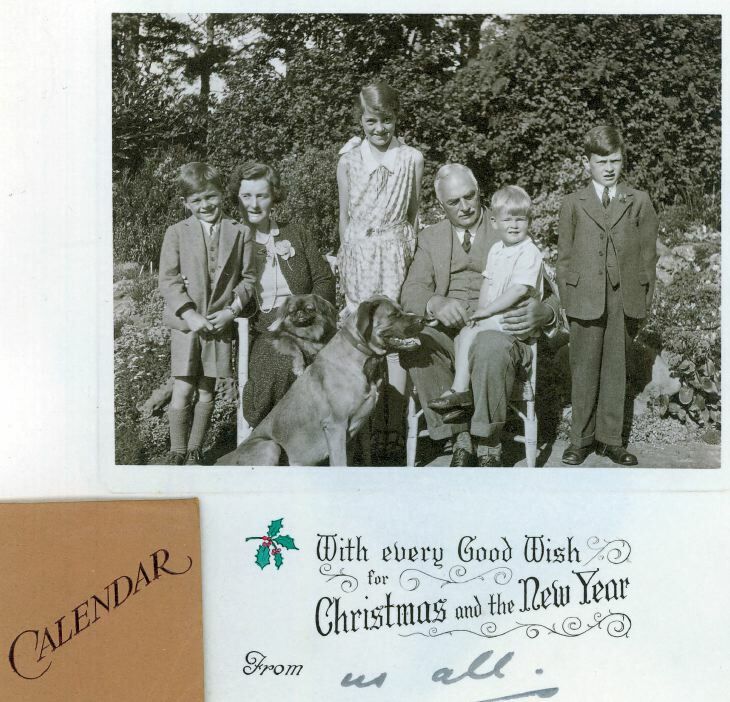 Christmas card and calendar for 1933 with a photo of a family of two adults, four children and a dog sitting in a garden. Marked "The Trysers Gordonbush" in Jimmy Bell's (?) handwriting. This and the accompanying two photos were in an envelope marked "John Sutherland from his granddaughter" in Jimmy Bell's writing. The family at Gordonbush were/are TYSER. From the date of the calendar the people shown are probably Walter Parkyns Tyser and Jessie Woodriff Berkeley née Quill with their 4 children. ~ Thank you for your comment. ~ Administrator.